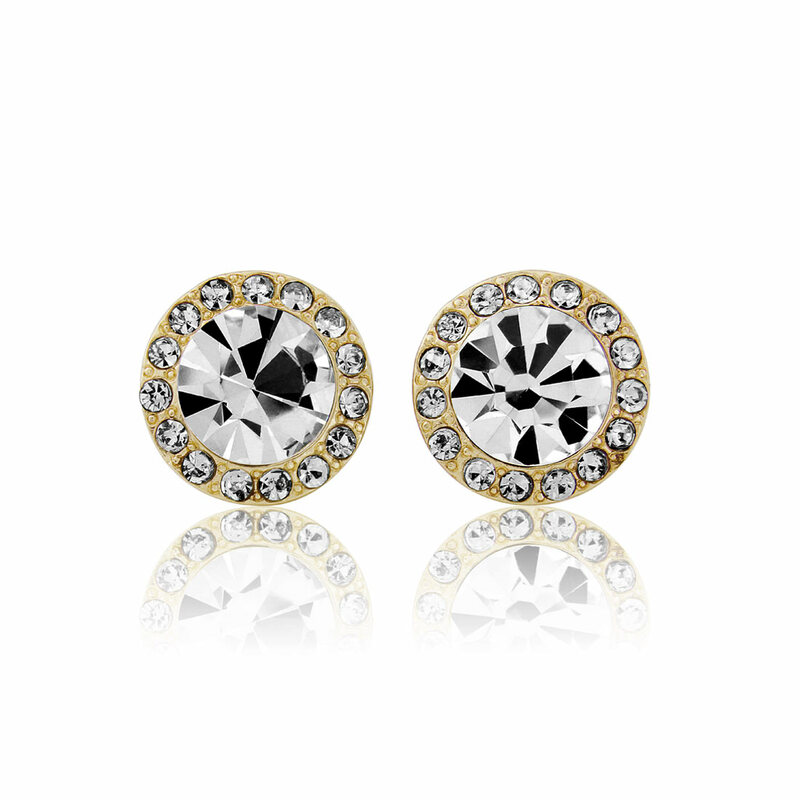 Fabulous crystal encrusted gold stud earrings full of class and elegance. Embrace their 1940s Hollywood Starlet style. Delicate and oozing elegance, our Graceful in Gold Earrings are the epitome of timeless class. Featuring a large central Austrian crystal encased by a myriad of petite sparkling crystals set on antique gold tone, these stunning studs are a classy addition to every girl’s earring collection. The perfect pair for every occasion, these crystal studs will sparkle with delight when worn alone for a lunch date or team with our coordinating Graceful in Gold Necklace and Bracelet for 1940s Starlet glamour for a glitzy night out. If you have chosen a gold wedding theme for your special day Graceful in Gold are a fabulous choice for a bride or her ‘maids. Chic with antique allure, they will complement gold detail on a vintage lace gown for subtle bridal style or team with a gold crystal side tiara for iconic Hollywood movie star charm.